LA Kings to honor victims of Thousand Oaks Tragedy tonight at STAPLES Center. LOS ANGELES, November 8, 2018 /3BL Media/ – As part of tonight’s Kings-Minnesota Wild game at STAPLES Center, both teams will help honor the victims and those affected by last night’s tragic event in nearby Thousand Oaks. 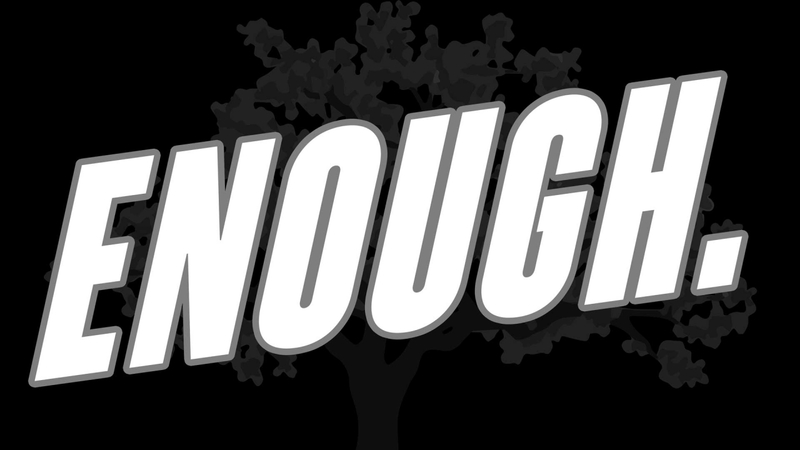 Kings and Wild players will wear specially-created ‘ENOUGH’ stickers on their helmets tonight. The Kings will hold a Moment of Silence at approximately 7:36 p.m. The Moment of Silence will be broadcast live on FOX Sports West. Children’s Hospital Los Angeles is collecting blood in honor of the victims and Kings fans can assist by signing up with the Children’s Hospital Los Angeles staff at the Kings game tonight – outside at the 11th Street entrance and inside at the Kings Care Foundation booth near section 103 – to donate blood at the hospital this week. Fans can also call 323-361-2441 or go online to chladonateblood.org to set up an appointment. Everyone who donates through this offer will be entered to win tickets to an upcoming Kings game. The Kings will tonight donate all proceeds from the club’s 50-50 Raffle to the Ventura County Family Foundation and Kings players will match the proceeds. The Kings will also donate the proceeds from the 50-50 Raffle from Saturday’s Kings-Calgary game as well. In addition, the Ontario Reign, the Kings’ primary minor league affiliate, will donate the proceeds of their 50-50 Raffle to the Ventura County Family Foundation at their next home game which takes place this Sunday.